The Lovely Pets is a local canine and feline care, grooming, and retail centre nestled in the middle of landed properties in Sarangoon North. They pride themselves on their line of experienced and skilled groomers, ensuring utmost care of the pets. They also do not condone puppy factories in which dogs are mistreated and only provide their customers with puppies licensed under AVA's PALS system. 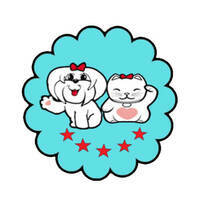 The Lovely Pets aims to be a pet shop that tops its class in providing professional care for their furry friends.